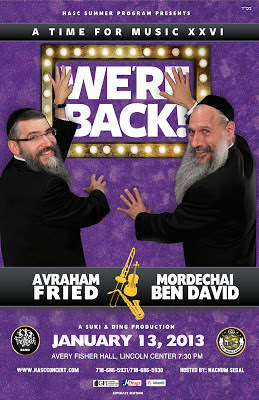 Jewish Blogmeister: Hasc # 26 is Poster Ready! Hasc # 26 is Poster Ready! 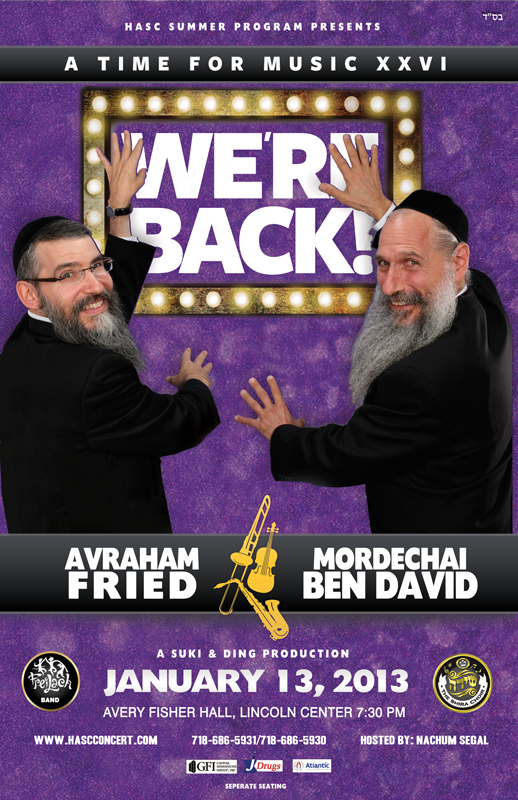 This upcoming Hasc concerts will feature the classic heavy hitters of the Jewish music scene.Some may even call it an old rivalry between the 2 biggest names in the Jewish music industry: Avraham Fried and Mordechai Ben David.Who do you prefer? Doesn't matter this time as they are both there!This is sure to be a real classic concert and will be sold out in no time! Don't wait till it is sold out and get your tickets today.